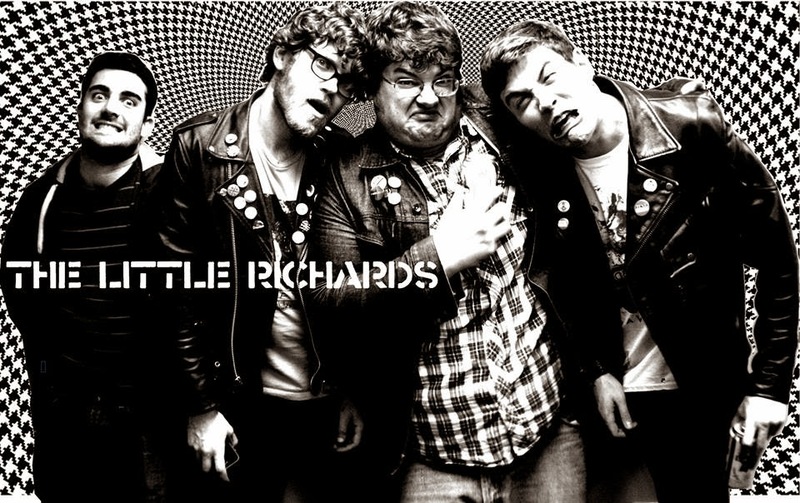 With a mixture of classic punk bands like The Ramones, garage bands like The Reatards, and the pop elements of The Kinks, The Little Richards play fun, fast, chanty punk rock that will make you feel as if you were in the hayday of punk hanging out on Bleecker & Bowery with your skinny jeans, and leather jacket. In our case at places like the Heirloom, The Oasis, or Café 9. This band is fun, fast, loud and very entertaining to listen to. They write two minute songs that will make you wish there were more and that the night will never end. 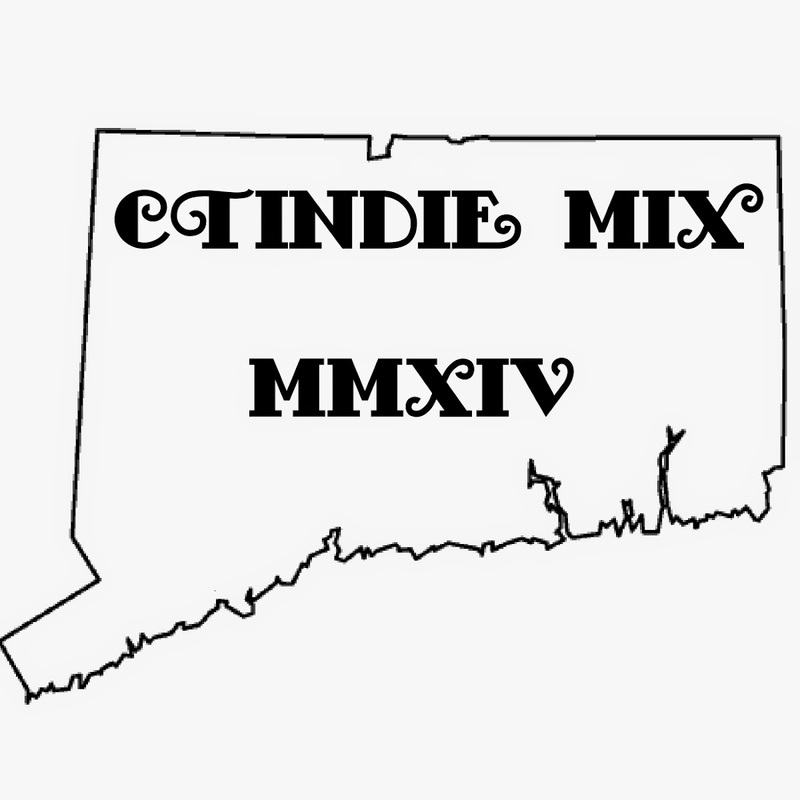 They are currently on an east coast/Midwest tour and are ending the tour here in Connecticut! On Friday November 22nd they will bring the party to Cherry Street Station in Wallinford and its going to be a party that you do not want to miss out on. Check out an interview that The Little Richards did with us while on the road somewhere in Middle America. We’re the Little Richards and we want your skulls! 2. Why Little Richard and not Chuck Berry or Jerry Lee Lewis? I guess Jesus saved him or something and now he identifies as a “ gay black man playing rock n roll,” but Little Richard was a gay black man in the American South in the 1950s. If that's not punk. 3. You guys hail from Salem, MA. What is the music scene like there? It’s almost non-existent. Salem used to be a place for all ages shows back in the millennium-era, but now there’s rarely anything going on there. Predominately dad-rock bands in crummy bars or the occasional open mic. All the basement shows (that rarely happen) seem to get broken up by the cops (the last one I put on sure did and it wasn't even 10PM yet). As far as anything going on in the Northshore, I’d say Gloucester, MA is the place for music. Our own Joey and our buddy Riley book shows at these two all-ages venues up there, the Hive and the Art Haven. 4. 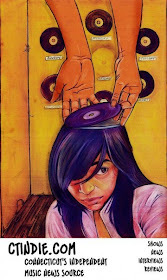 I listen to your stuff and hear The Ramones and the Toilet Boys in your music. Am i the first person to compare you to the Toilet Boys? and how do you feel about that comparison? Yeah we're just some ooze secretin' cretins. Someone said that before about the Toilet Boys, but I’m pretty sure that it was you, Jeffrey .I think the Toilet Boys party a lot harder than us, but we'll take it! 5. What records are you currently digging? A lotta different stuff. There’s this band called the Shivvers who Vinny discovered. They were a powerpop band from Milwaukee in the late 70s/early 80s who never really got noticed for whatever reason. The collection of songs is called “Lost Hits from Milwaukee’s First Family of Power Pop: 1979 – 82.” We only have the mp3s and not the actual record. Not sure what that band even has out there for vinyl stuff... Joey works up at a record store in called "Mystery Train" in Gloucester and a while back he made me buy some bubblegum compilation. It has 1910 Fruitgum Co., Ohio Express, and the Lemon Pipers on it. Real classic stuff. I lent that record (can't recall the actual name of it - I know, I'm a crumb) and some others to Glenn, my buddy from work, and he lent me some of his stuff. One of them was Nick Gilder’s “Here Comes the Night.” I really like that voice. As far as current, modern stuff goes, Vacation’s “Candy Waves” is great. 6. The Little Richards are ending your tour in Connecticut. How is the tour so far? No one really knows us, so that makes it especially difficult to find shows. Also - we don't really know too many people. It seems like I've pestered about a thousand people in the past month or so. As of today (11/7), we have a shows in: Trenton, NJ (11/16), Milwaukee, WI (11/18), Chicago, IL (11/19), Mansfield, OH (11/20), and then of course, in Wallingford on the 22nd. We’re still looking for a place to play on the 17th and 21st. With all that said - a big THANK YOU to everyone who has given me the time of day! We’re touring in my ’01 Toyota Camry with guitars, amps, drums, and whatever else. Down with big gear – X amount of guitars, 2 Fender blues juniors, an acoustic 260, and a jazz kit will all fit in my trunk. I have an overhead storage thing for our bags and other stuff. It's gonna get pretty interesting being in such tight quarters for a week. We're gonna make bring some t-shirts, cassettes, pins, stickers, THC, DMT, LSD, and some peyote! 7. Johnny Thunders or Richard Hell? 8. There is a definite pop element to your songs. What is the poppiest record in your collection? Probably the aforementioned bubblegum comp or my 1910 Fruitgum Co.'s "Juiciest Fruitgum" (also sold to me by Joey). 9. With that said what are your top 3 favorite records of all time? Uhhhh... Ramones LP, Leave Home, Rocket to Russia! 10. What does the future hold for The Little Richards? Not too sure. We just wanna play more shows. Make more songs. Hopefully not kill each other. It would be fun to make a video. Maybe we'll do that? As of right now, I don't think anyone has been compelled to film any of our shows. With that said - I think there should be some more practicing in the future... We re-recorded 6 songs for a 7” due out as soon as we figure out who exactly will put it out. Our buddy Zac and Nate (Billy Raygun and Cat Dead Details Later Records) were the ones pushing us to put out a vinyl. Thus far it’s gonna be at least them and us dishing out the cash to make it happen. Not sure if anyone else wants to bite at it, but if you’re reading this, and you want in on that – get at a crumb!